Camp Buffalo Bill is operated by the The Greater Wyoming Council of the Boy Scouts of America and provides year-round, residential camp programing for scouts of all ages, including Cub Scouts, Scouts BSA and Venturers. Buffalo Bill is also the home of the Yellowstone High Adventure Outpost, which provides world-class high adventure experiences throughout the Greater Yellowstone Area. 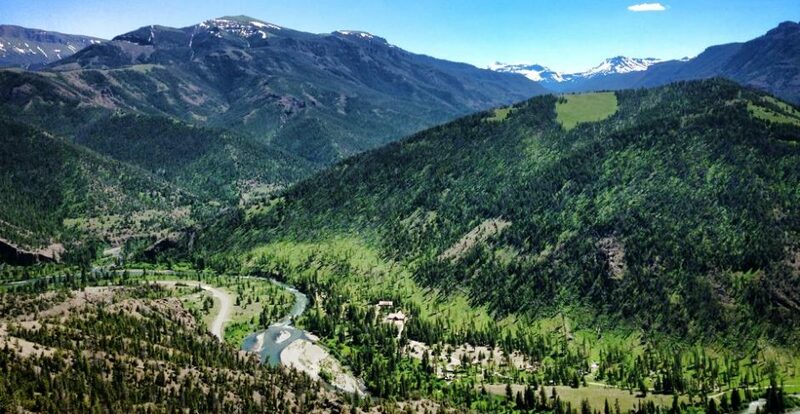 Located in the incredible Wapiti Valley between the North Absaroka and Washakie Wilderness areas, Camp Buffalo Bill is just seven miles east of Yellowstone National Park provides a setting where beauty, wildlife and adventure abound. This was the playground for William “Buffalo Bill” Cody and now it’s ours. We are busy preparing the camp for your arrival. From Cody, travel west 43 miles on US highway 14-16-20. Turn left at the Buffalo Bill Camp sign (Forest Road 446). After crossing the first bridge, stay left at the fork and follow the road 1 mile to camp. To file a complaint alleging discrimination, complete the USDA Program Discrimination Complaint Form, AD-3027, found online at http://www.ascr.usda.gov/ complaint_filing_cust.html , or at any USDA office or write a letter addressed to USDA and provided in the letter all of the information requested in the form. To request a copy of the complaint form, call (866) 632-9992. Submit your completed form or letter to USDA by: (1) mail: U.S. Department of Agriculture, Office of the Assistant Secretary for Civil Rights, 1400 Independence Avenue, SW, Washington, D.C. 20250-9410; (2) fax: (202) 690-7442; or (3) email: program.intake@usda.gov.